CHARMING 3 BEDROOM HOME IN GATED LAKEFRONT COMMUNITY. This home in Shores at Lake Sears is in like new model condition and sits on one of the community's best lots with pond views from multiple rooms, and no rear neighbor . The home is one owner and has been lovingly cared for. The open floor plan with vaulted ceilings in the living area's offers large kitchen with of upgraded cabinetry, stainless steel appliances, granite counters, custom tile back splash and lots counter space. The kitchen opens to large great room with view of the pond. The home offers a split floor plan, very private and large (16X14) master suite with tray molded ceiling and attached spacious bath with soaking tub, separate tiled shower and dual vanities with granite counters. Pride of ownership is apparent with the lush, mature landscape and pristine exterior of this home. The home also offers two car garage, private PVC fencing in the rear yard and screened lanai. 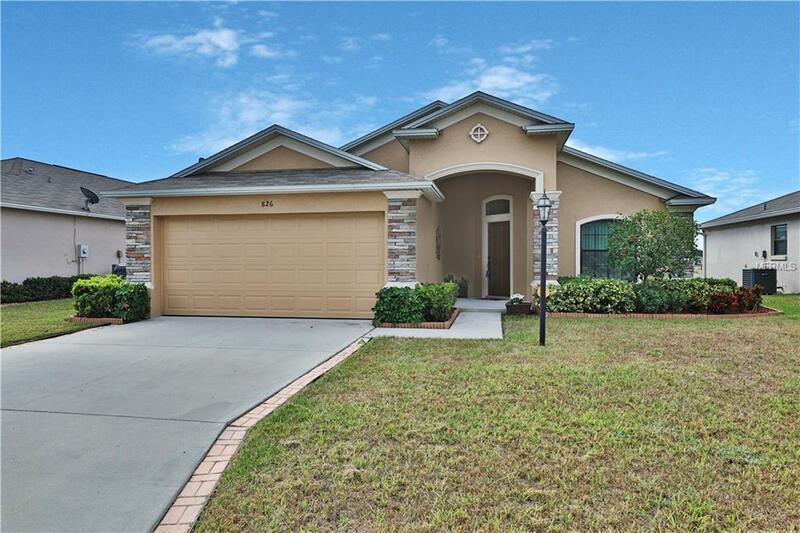 The home is conveniently located to both Winter Haven and Lakeland and only a few miles from the on ramp to Polk Parkway (570) giving the owner quick access to Tampa or Orlando areas.